The home button has always remained an essential features in iPhones; that is until the latest installment, which is the iPhone X. It features no home button and has a completely touch based display which lends it a certain beauty. However, for other users the lack of a home button may come as a drawback or it may be a feature that they miss. Luckily for such people, it is possible to have a virtual home button on your iPhone X. 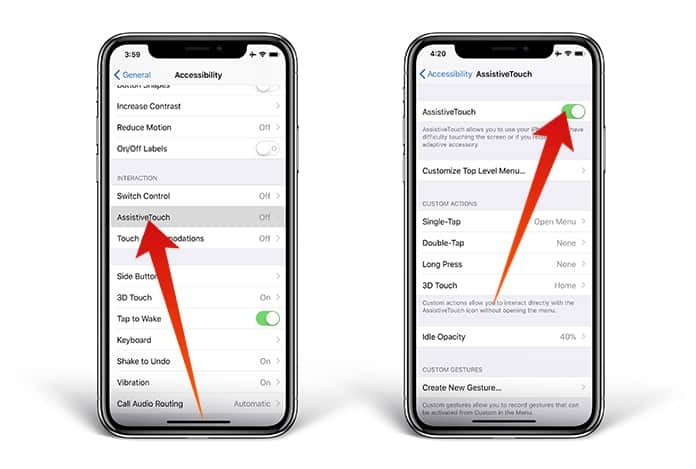 Anyone who has ever used an iOS device must surely know of the ‘Assistive Touch‘ feature which is incredibly user friendly. For the uninitiated, this feature basically allows you to use your device in a more convenient manner because with it you can restart your device, take screenshots, change the volume and much more. Step 1: Go to Settings -> General -> Accessibility. Step 2: Tap on the Assistive Touch feature which should appear after you scroll down a bit and toggle it to on. Step 1: Go to Settings -> General -> Accessibility -> Assistive Touch. Step 2: Next, you just need to assign custom actions to directly interact with the Assistive Touch icon. This can include options like SOS, Restart or even Screenshotting. In total there are 22 actions from which to choose from. How this works is that basically if you select the custom action to be Screenshot then whenever you tap the virtual home button it will take a screenshot. It’s really that simple! The iOS 11 allows the user to reduce the opacity of the Assistive Touch button when it isn’t being used. What this does is that it doesn’t stay as prominent or distracting when it isn’t required or being used. Let us know how your experience with Assistive Touch goes.